Taradale Shopping Centre in Napier, South Island is a boutique shopping destination centred around a traditional busy high street. The planners at Napier Town Centre have traditionally sourced their paving materials from Australia, but having seen Ketley's blue square edged pavers, they decided the blue colour would add a unique feel to this up market area. 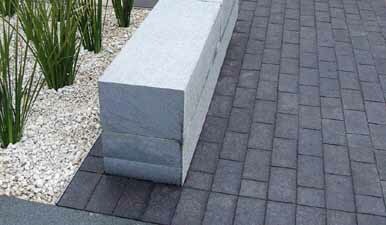 The planners could not find anything similar in Australia and therefore after setting up a test site of the pavers, they specified Ketley for the 3600m2 area.